We are dog loving pet owners ourselves... but at Petcare Professionals we are all experienced, qualified, fully insured & CRB checked. 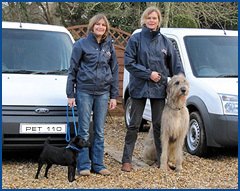 Giving you peace of mind that your dogs are in the best possible hands. However, we will also cover- SANDFORD, WOOL, BOVINGTON, LULWORTH, BERE REGIS, CORFE, SWANAGE, LYTCHETT, UPTON, POOLE & SURROUNDING AREA'S (for some locations a mileage charge may apply). additional dog(s) from the same home are half price! We only ever walk a maximum of 4 dogs at any time, ensuring your dog is kept under control at all times and have all the attention they deserve. 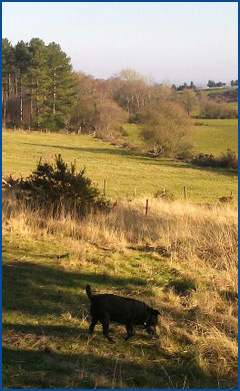 We know all dogs are different and we are happy to walk dogs which may have certain issues. However, to ensure peace of mind for you and our other customers we will only ever walk non-social dogs individually (or with dogs from the same household) and a surcharge will apply.